Need a cleaner in Erskineville that you can completely trust to tend to your property? Merit Cleaning are some of the leading cleaners in the Erskineville area, extending our services to homes and businesses of all sizes. Thanks to our cleaning services, Erskineville locals can enjoy a hygienic and healthy home or work environment without having to take any extra time out of their day! Do you find that it’s too hard to maintain adequate cleaning standards at your office due to the large number of employees and your work hectic schedule? Merit Cleaning can handle all your required cleaning on a weekly, fortnightly or monthly basis, from tidying up desks to ensuring your kitchenette is spotless. From individual offices to retail stores, count on Merit Cleaning for all your necessary office cleaning services in Erskineville. By keeping your commercial space consistently clean with Merit Cleaning’s services, you can ensure clients are left with a favourable impression of your company and that employees can enjoy a sanitary work environment. Merit Cleaning also offer house cleaning in Erskineville, helping families end their arguments about the household cleaning duties! 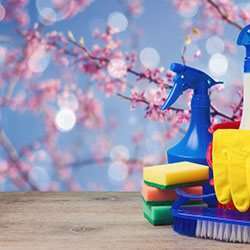 Our experts zero in on your cleaning requirements, helping with everything from bond cleaning to weekly housekeeping. Working according to your schedule and checklist, we ensure everything is attended to in a timely manner. When it comes to finding cleaning services in Erskineville that you can rely on, Merit Cleaning are the clear choice. Give us a call on 1300 063 748 to arrange one-off or regular cleaning that meets your needs.